Hoof Boots Australia - New to Boots? New to boots? Hoof Boots Australia can help. Don't feel confused or overwhelmed - basically its all about finding a size that matches your horse's three dimensional hoof shape. If you still feel confused after reading our information our friendly staff are here to help you. Just ring 02 4457-3022 9.00 to 4.30 Mon to Fri. (bus. hours). 1. 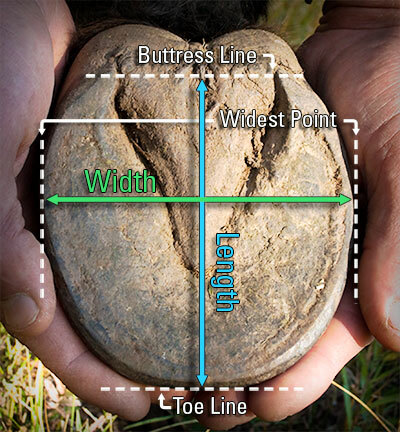 What is your horse's hoof shape? Most people really don't know what type of hoof shape their horse has. Unlike sizing shoes boots also require that you think about the entire hoof capsule. Take the time to have a good look at it and ask you farrier/trimmer if your horse as a good shape or if it has flares, long toes, under run heels or other distortions. Often long term shod horses will have these but with a correct trim they will disappear in time. Whilst they are growing out you may need one of the styles that is more accommodating to a less than perfect shape, such as the ones that cover the entire hoof capsule. Great boot fit is about matching a boot shape to your horse's hoof shape. But rememeber its also about matching the hoof capsule shape too. Take accurate measurements, (we find metric the best) and then browse our quick guide to find the best boot. If the sizing does not fall into the chart then call us so we can advise what boots may work for you with some adjustments or pads. If you have a horse with short wide hoof shapes that do not fit into boot sizing then you might like to look at the new Flip Flop which allows you greater adjustments for this type of hoof shape. 3. What type of fastening system can you manage? Because boots have different fastening systems it is important to consider your own personal capabilities. If you have loss of hand strength then one of the styles such as the Trail Boot and the Back Country would be ideal for you. 4. Other Considerations: Different shaped hooves! You will need a boot style that you can buy as a single boot. 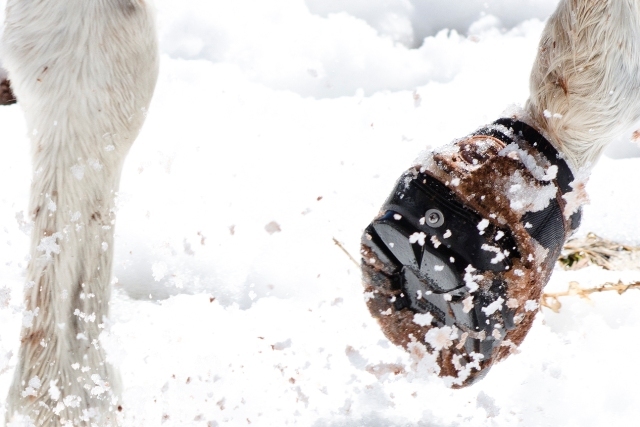 Does your horse have miss-matched feet - they may have a clubbed hoof! (High/low hoof syndrome). There are a large percentage of club footed horses in the domestic horse population. There are many theories as to why this type of hoof form occurs but it brings with it two very different hoof shapes. One front hoof will be low and flat (sometimes with under run heels and a long toe) whilst the other will be smaller and more contracted at the heel (clubbed) with different angle on the front wall and a steep heel. Because of this difference it is important to choose a boot style that allows you to buy two different sized boots and one that allows you to also pad one of the boots if necessary to adjust your fit. Some boots are sold as pairs and some as single boots so this may affect your choice. Easycare Down Under's Equine Myofunctional Therapist would like us to also mention that any horse with high/low hoof syndrome will also have upper shoulder muscular asymmetries. Because these horses habitually prefer to load the lower more splayed hoof and graze with the more upright one placed behind, they develop one large shoulder/wither area and on the opposite side will have muscle atrophy (wastage). They will also have a favourite side, and prefer this for their canter leads and trot diagonals etc. Because tree-ed saddles are made symmetrical, this difference in their upper shoulders will often cause saddle fit issues, as when the muscles that sit over the scapular (on the larger shoulder) pass under the front of your saddle tree with every single step, they may be crushed and damaged. This also will cause the saddle to see saw across the horse's spinal processes at the cantel causing pressure and friction at the back of the saddle. For horses with muscular asymmetries it is often best to consider a treeless saddle. Click here: To look through our Video page where these is a lot of information on the use and fitting of the various Easycare Lines or head to our Hoof Boot Range page to look through the various boot styles. If you are feeling overwhelmed then we have friendly staff who are right at the end of the phone ready to help. Just call 02 4457-3022 Mon to Fri. If you are transitioning a long term shod horse into boots it is best to wait until the 2nd trim cycle before you measure and purchase your boots. Just remove the shoes and leave the horse's hooves to settle down for a few weeks. 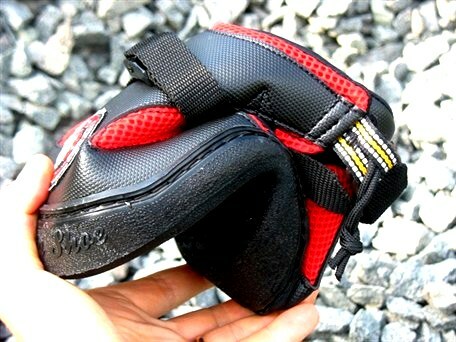 Do not do any corrective trimming at first, just remove any flares near the ground surface that might break away and leave the sole alone till the follow up trim. Be considerate of your horse. 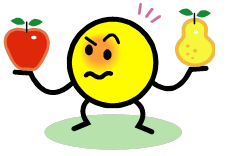 He is going through a lot of changes and may be tender at this time. If you are planning riding him and he is tender then it may be best to wait till you have your new boots for hoof protection. If your horse has been in shoes for a long time he may have developed a distorted hoof capsule. Flares and under run heels can be corrected with the help of a professional hoof care provider. Talk to a trained professional barefoot trimmer/farrier about ways to achieve a physiologically correct hoof. If you would like to read more about how these issues develop our Equine Podiotherapist has an article in the main menu under "Solving Hoof Problems". For good boot fit (and healthy hoof form) your trim cycles should be no longer than 4 weeks apart. Please use a correct barefoot trim to set up the foot. DVD instructional information on barefoot trimming can be sourced from www.barehoofcare.com if you need it. The Barefoot Blacksmith also offers workshops for horse owners to help you learn how to perform a maintenance trim yourself and many Equine Podiotherapists are happy to show you how to do this too.